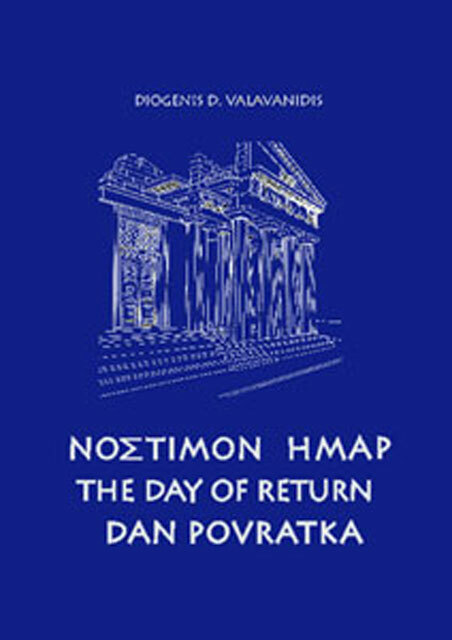 The Day of Return, first book written by Diogenis D. Valavanidis, was published in 2004 in Serbian, Greek and English language. Author's intention was to present to international public general and short review of the history of the biggest Hellenic monument – the Parthenon. Book puts emphasizes on the tragic fate of this monument at the beginning of the 18th century when Thomas Bruce (lord Elgin), British ambassador to Constantinople, devastated Parthenon and took its sculptures to Great Britain where they are presently located (in the British Museum in London). However, the main goal of this book, dedicated to people in general and international cultural elite, is not only to describe and interpret this event but to point out the elementary human right – return of the forcefully taken national cultural heritage. For this purpose, the book is divided in chapters entitled: Creation of the Holy Place, Blows suffered by the Parthenon, Violence Stronger than History, Antique Treasure Dispersed around the World, The Temple Continues to Gather “Gods", Fight to Turn the Right into Justice. These chapters describe the fight for the return of the Parthenon Sculptures led by the Greek Minister of Culture (Melina Mercouri’s speeches at the UNESCO session held in Mexico in 1982 and Oxford in 1986). 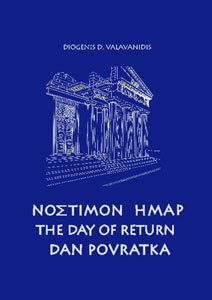 The book, illustrated with photographs taken by Socrates Mavrommatis and printed with the permission of the “Melina Mercouri” Foundation, was well received by international cultural public and, in a unique sense, determined author’s literary genre.